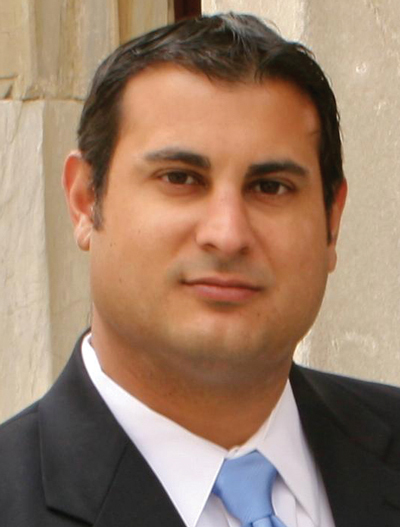 Omar Nashashibi is a founding partner at The Franklin Partnership, LLP, Washington, D.C., a bipartisan government relations firm retained by the Precision Metalforming Association. The goal is to complete negotiations with final text by the end of September, allowing at least the presidents of the United States and Mexico, and hopefully Canada’s prime minister, to sign the agreement no later than November 29 (within 60 days of completion on September 30). Two key actions are driving the deadline. First, a new president of Mexico, to be sworn in on December 1, is expected to take a harder line in negotiations with the United States. Second, a 2015 U.S. law formerly known as Fast Track, now called Trade Promotion Authority, allows the expedited review by Congress of a trade agreement without amendments and with only an up or down vote. Once President Trump formally notified Congress of his intention to sign, it triggered a 90-day clock expiring November 29. Facing the September 30 final-text deadline, Canadian negotiators continue to shuttle between Washington and Ottawa, most recently leaving the United States on September 12 to brief their leaders on progress. If Canada is unable to reach an agreement by the end of the month, the White House said that it would ask Congress to move forward with considering only a U.S.-Mexico bilateral trade agreement. Many on Capitol Hill question whether the administration has the legal authority to move forward on HAFTA because it notified lawmakers last year that the United States was negotiating a full NAFTA 2.0 that included Canada. Many of the challenges with our northern neighbor remain over dairy exports and whether Canadians must settle trade disputes in U.S. courts or with a neutral panel. In addition, it remains unclear whether Canada will accept all of the automotive- and steel-related provisions and quotas possibly contained in the U.S.-Mexico agreement. The United States requested a number of requirements on imported autos starting with a North American content requirement increasing from 62.5 to 75 percent (70 percent for heavy vehicles and 65 to 75 percent for three tiers of auto parts). In addition to the regional-content requirement (RVC), the United States also mandated that at least 70 percent of the steel, aluminum and glass of a light vehicle (under 10,000 lb.) originate in North America. While officials have yet to make final text public, sources indicate that Mexico agreed to 40 percent of a passenger vehicle final assembly, and 45 percent of a light truck, being completed by workers in a facility averaging wages greater than $16/hr. The rumored transition period for the content requirement is 7 yr. for heavy vehicles, and 3 or 5 yr. depending on the light vehicle. While the Canadians may ultimately agree to many of the content requirements, import quotas on parts, vehicles and the existing tariffs on steel and aluminum remain unresolved. The United States currently is considering imposing tariffs of as much as 25 percent on imported autos and parts, in addition to the 25-percent tariffs on steel and 10-percent on aluminum brought into the United States. Despite prior statements to the contrary, Washington is not willing to exempt Canada or Mexico entirely from existing or possibly future tariffs. As of now, there remains no agreement on removing the steel and aluminum tariffs on either country even with a complete NAFTA 2.0, let alone a HAFTA. Looking beyond existing tariffs, should the United States move forward with taxes on imported autos and parts, a move opposed by many in the industry, the question becomes how to treat our closest trading partners. The United States negotiated with Mexico quotas allowing the United States to impose tariffs to 25 percent on Mexican car/SUV imports surpassing 2.4 million vehicles and on Mexican auto parts imports exceeding $108 billion annually. The penalty on parts and vehicles above those thresholds remains fluid, with some believing that a 2.5-percent penalty, in addition to a new tariff, is possible. As Canadian negotiators continue to work around the clock with their counterparts in the United States, many major sticking points remain unresolved ahead of the September 30 deadline. Further complicating matters are domestic politics affecting the three nations, with the United States facing midterm elections in November and Congress warning the president not to send a U.S.-Mexico-only agreement for their approval. Quebec holds its general election on October 1 with the Canadian prime minister seeing his own polls sinking ahead of his own national contest in 2019. Combined with a new president of Mexico, generally skeptical of trade with the United States, being sworn in on December 1, negotiators are running out of time to resolve major sticking points.